One of the first anime that went worldwide. You remember that time when Anime wasn’t considered much? 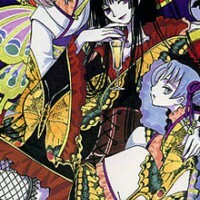 Yes they appear in some noon time shows worldwide but at one point Anime was really recognized and was allotted to a single channel where it only shows Anime Series (famous anime series) and of them is xxxHolic. It’s about a witch which controls dimensions, not you typical witch which controls fire, poison and such am I right? Our character for today is Yuuko Ichihara. 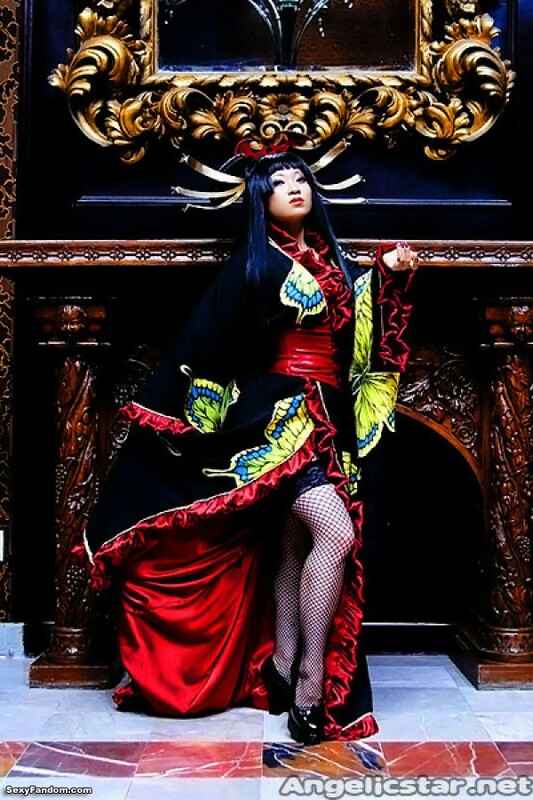 She is an enigmatic, powerful and fashionable sorceress, is one of the principal characters in xxxHOLiC and a very important person in the storyline of Tsubasa Reservoir Chronicle. She is known by many names throughout the multi-verse, most notably as “The Dimension Witch” — a title that reflects her unique reach in time and space. 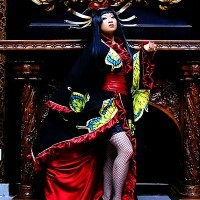 She has also been called The Far Eastern Witch as one of her aliases. 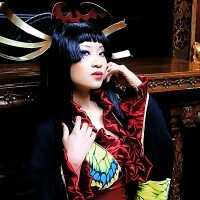 Yaya Han focused on the colors, Ebony Black, Velvet Red and Gold. 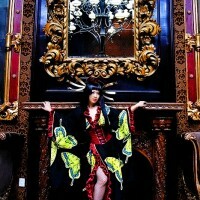 Since it’s hard to find Kimono design in the western country, Yaya Han sewed here self a Kimono which follows Yuuko’s Black Kimono with golden butterfly design and an interior and corset red velvet fabric. Besides the outfit itself I love the settings of the shot and how it fits very well with the Japanese Kimono style and the Old Western Settings. Besides the locations in the photographs, this cosplay was intented for the last Anime Matsuri and Sakura Convention in the US. This cosplayer is without a doubt have a great talent for both modelling and tailoring her costumes let’s at least support her by following her on Facebook, Twitter, Instagram, Youtube Channel and DeviantArt. Let’s also support her photographer Sky Pirate photography.